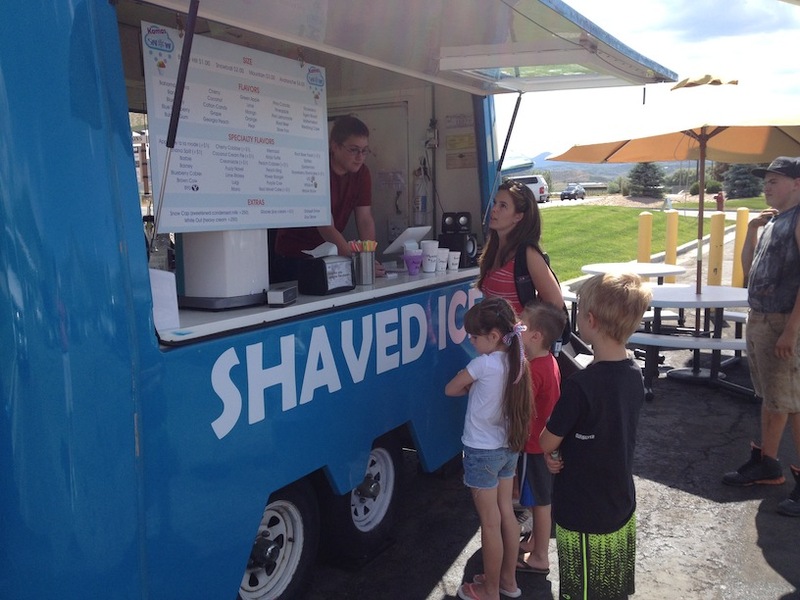 Find us in the parking lot of Volkers Bakery (across the street from Kamas Foodtown). You're looking at the Peach Cobbler Avalanche. Two words: brain freeze. 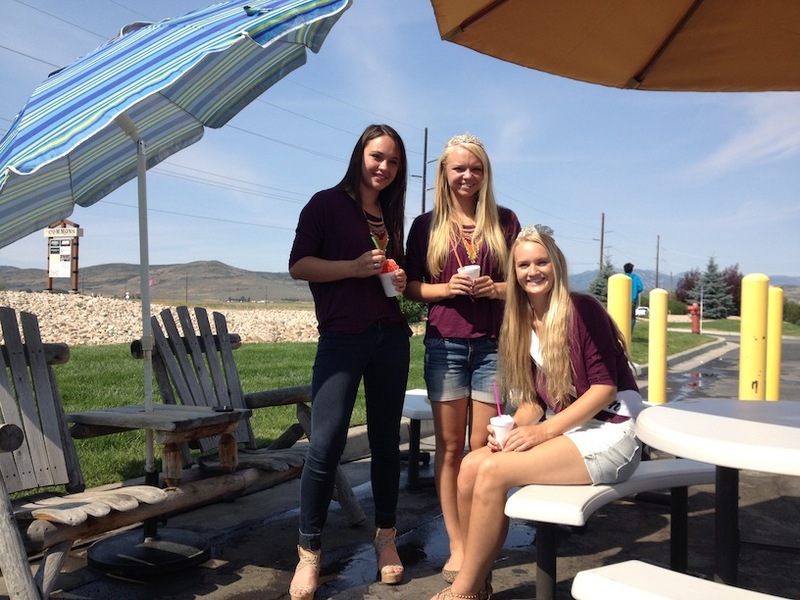 We love working at Kamas Snow! 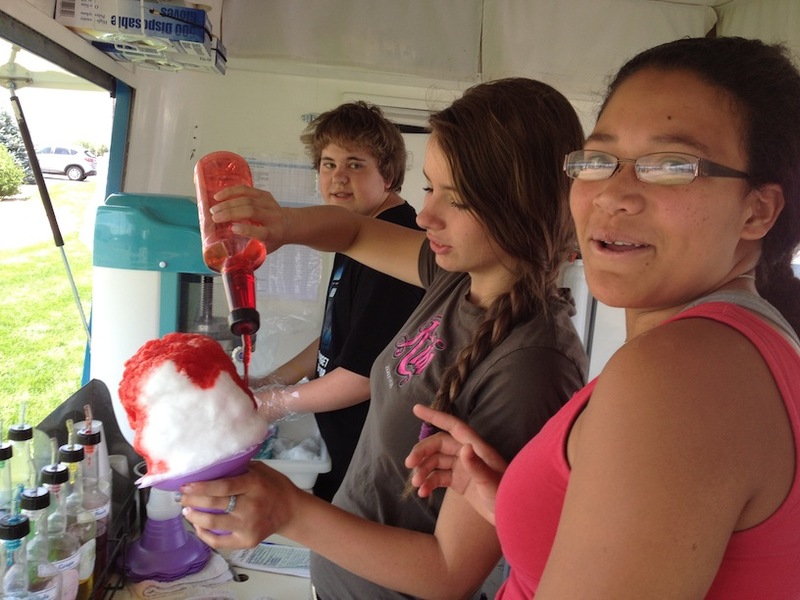 It's the coolest summer job in town. 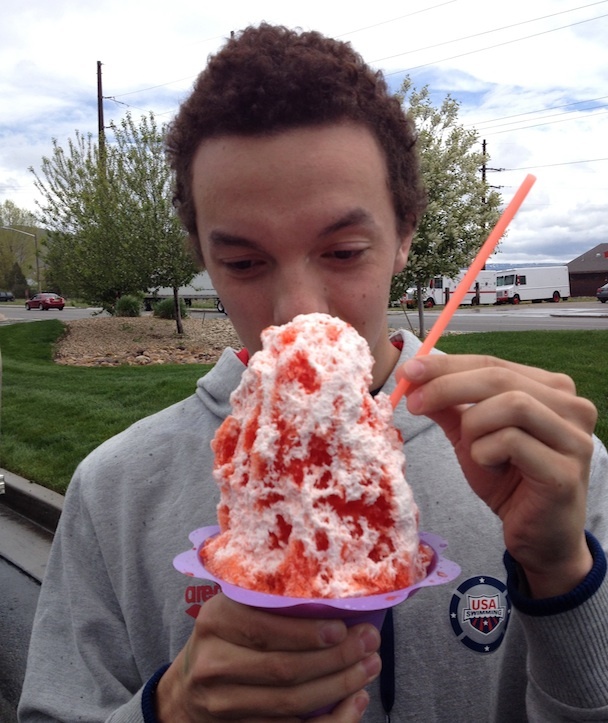 The Kamas Fiesta Days royalty cooled off with a shaved ice. Thanks for stopping by... Aly, Hailey, and Brianna.